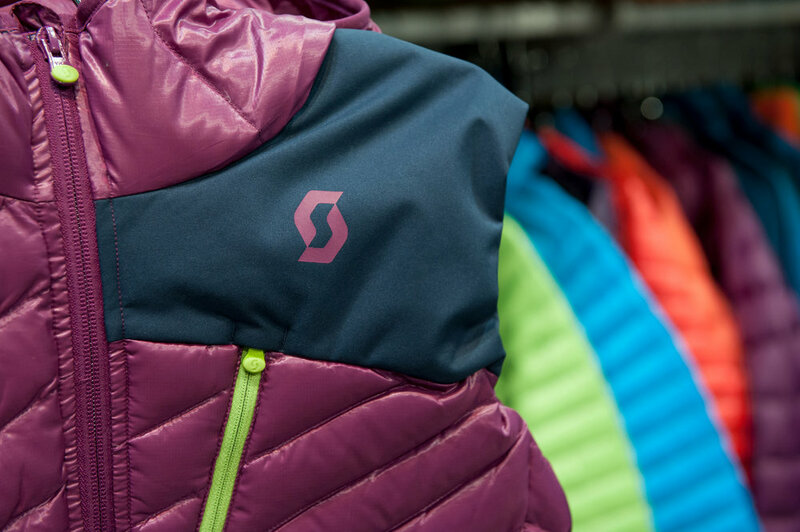 SCOTT brings back an Editors' Choice fave from last season, the Solute Women’s Vest that's designed to be worn over or under a shell. 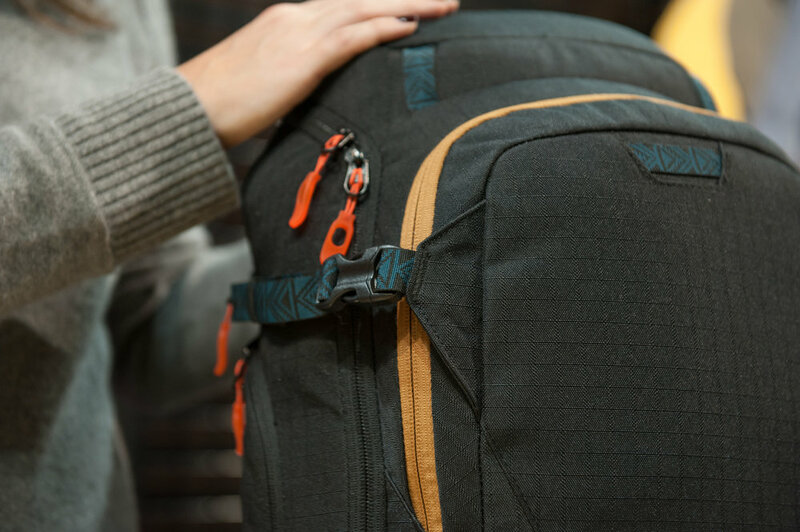 Dakine's new women's Heli Pro Delux rocks a shortened back panel, wider hip stance and narrowed straps, with five different sternum position options. 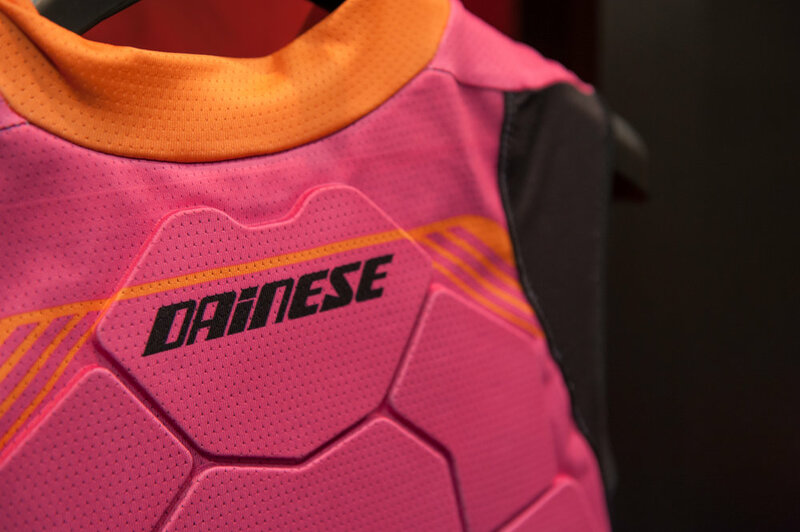 Debuting in North America, Italian brand Dainese makes some really sweet-looking back protectors. Everybody Wangs Pull tonight? 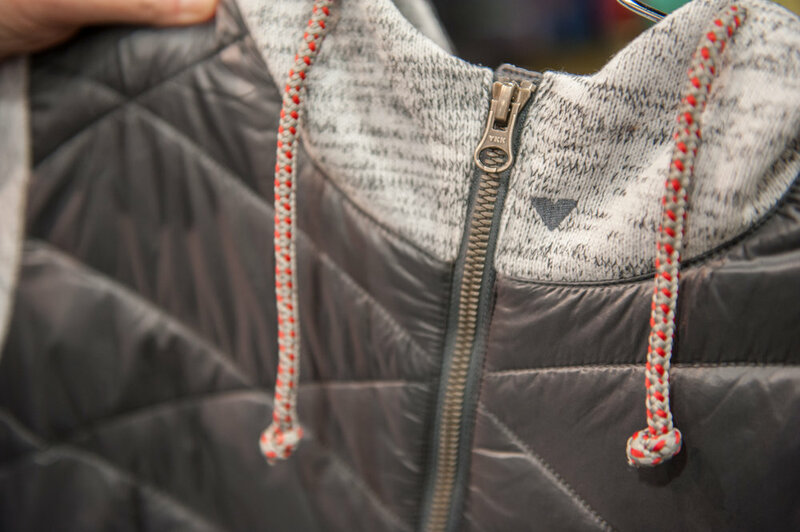 You read it right, this is Eider's new Wangs Pull Polartec Power Wool mid layer. Get over the name...it's awesome. 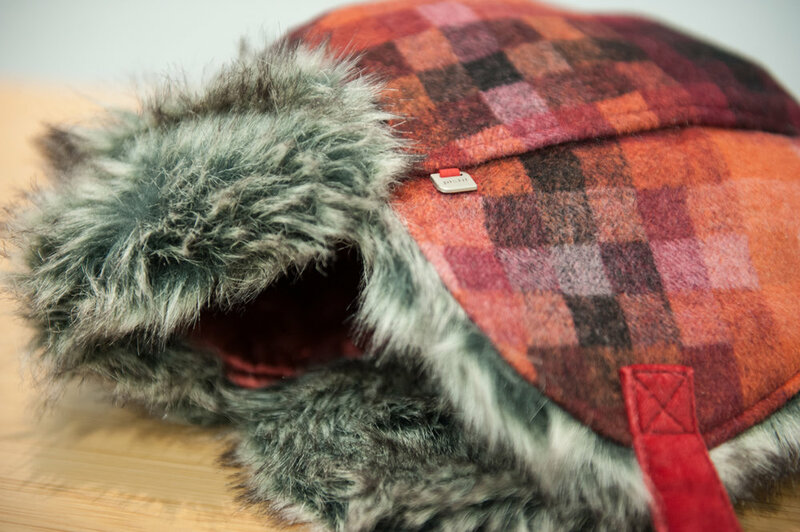 The ever eye-catching Bergans Humle Lady Jacket is a mid layer we really must have. 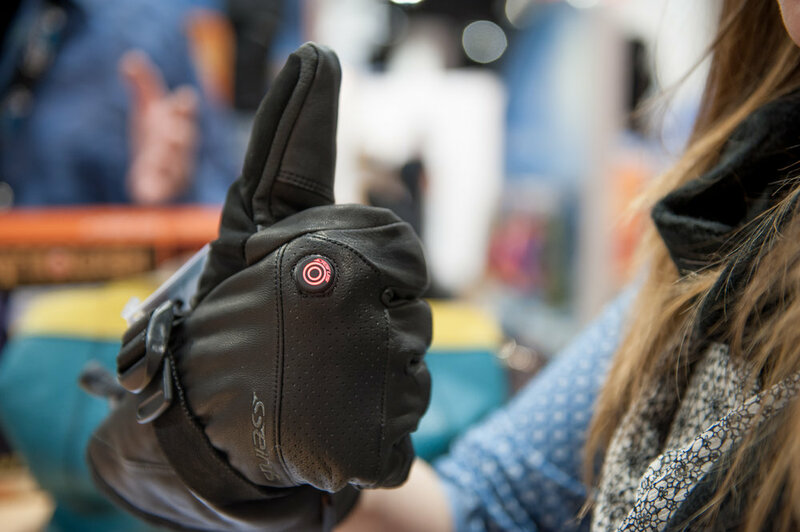 Seirus upped the versatility of its HeatTouch Torche, which can be worn as a standalone or component, acting as a liner for a super warm setup. 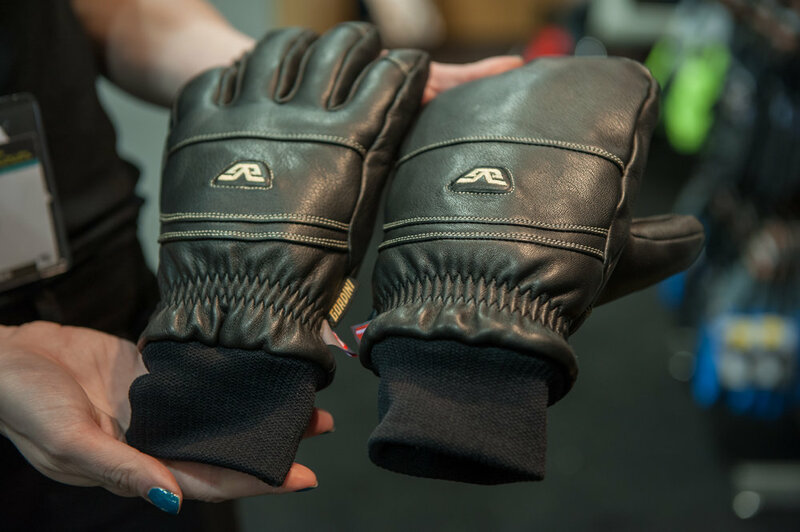 Gordini Paramount glove with Primaloft insulation. 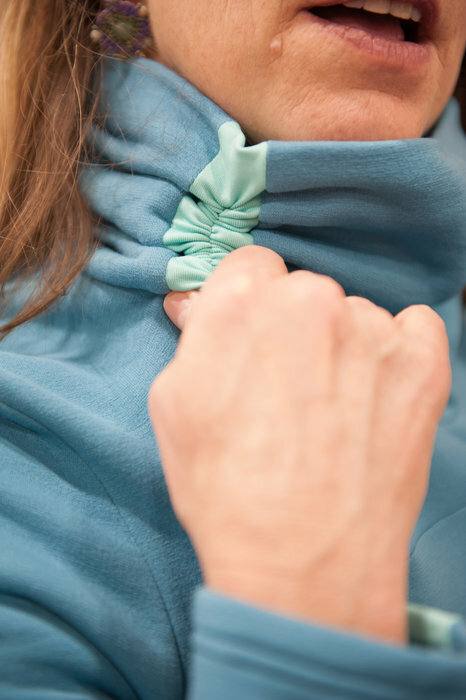 Seirus' new Magnemask that pulls almost all the way off along its continuous magnetic seam and can be tucked easily into the neck. 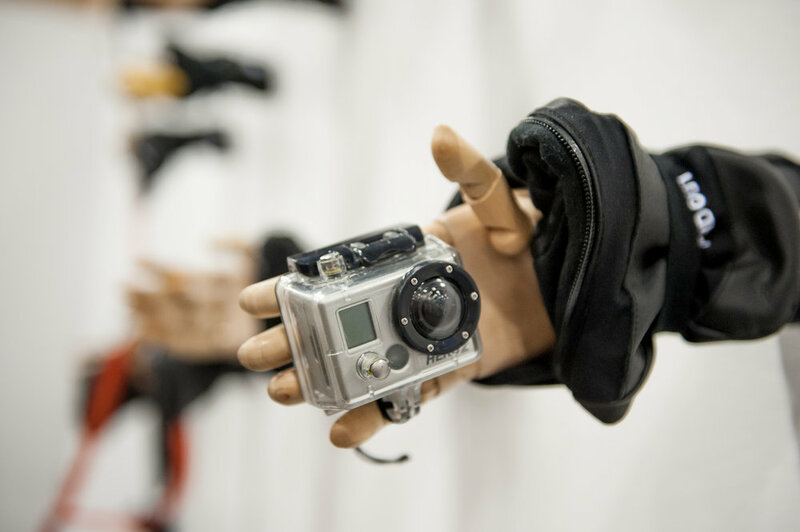 Hand Out Gloves with a great display and concept; who doesn't take their gloves/mittens off a thousand times per day? 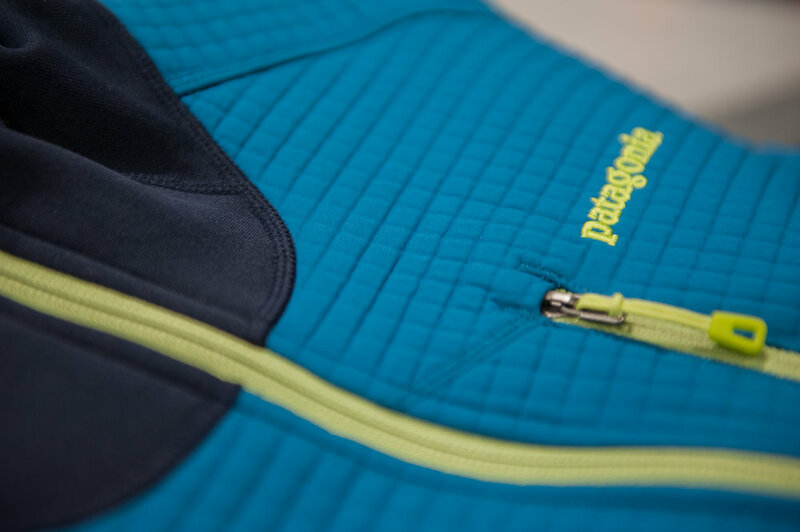 Patagonia one-upped itself once again with the Dual Aspect Hoodie. 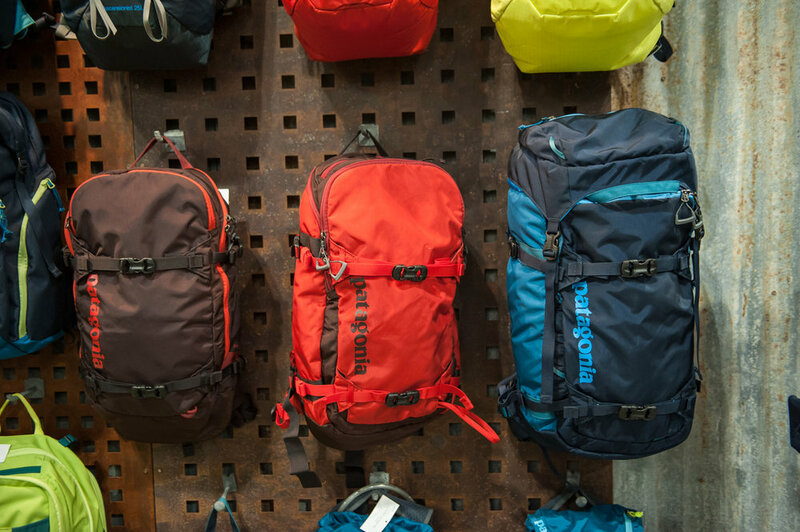 A Patagonia pack for every excursion. 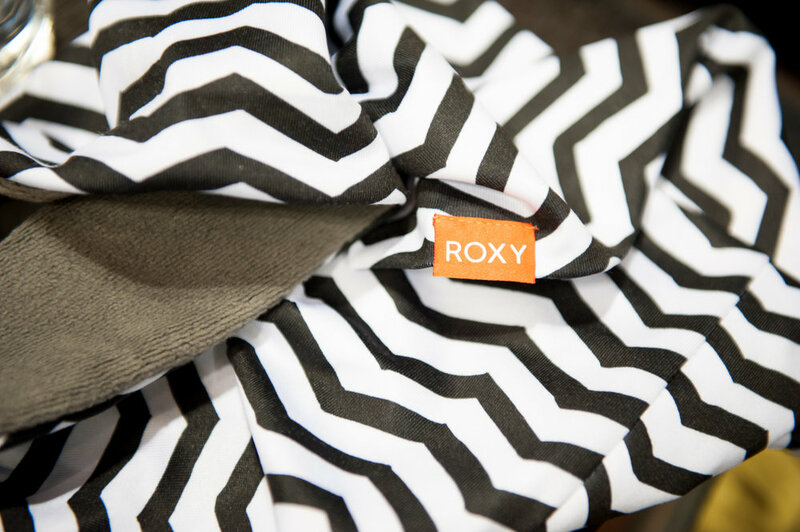 There's just no way to pick only one piece of Pistil headwear. 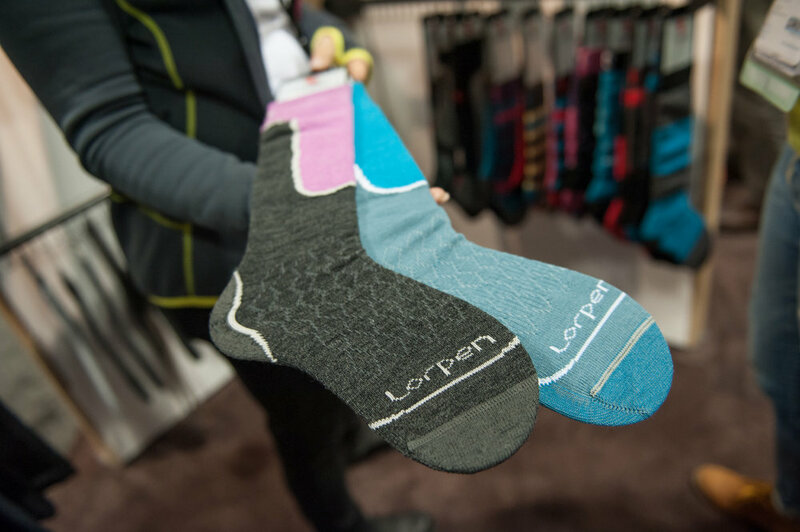 Lorpen doesn't mess around with their technical socks that feature a yarn blend and flat knit toe. 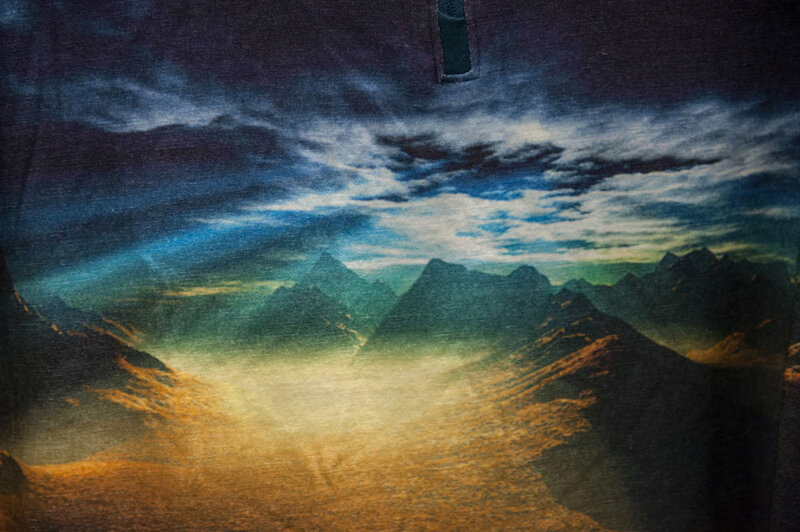 Helly Hansen's new base layer is more like art with sublimated graphics. 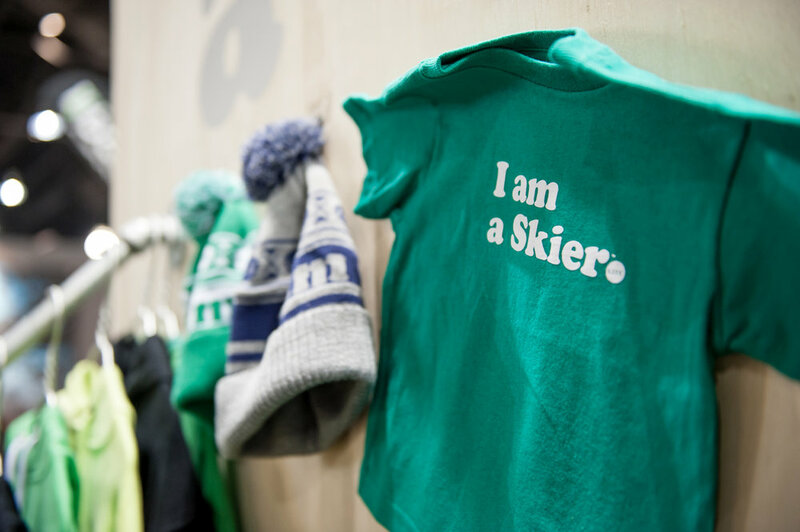 Line gear for those who start skiing soon after their first steps. 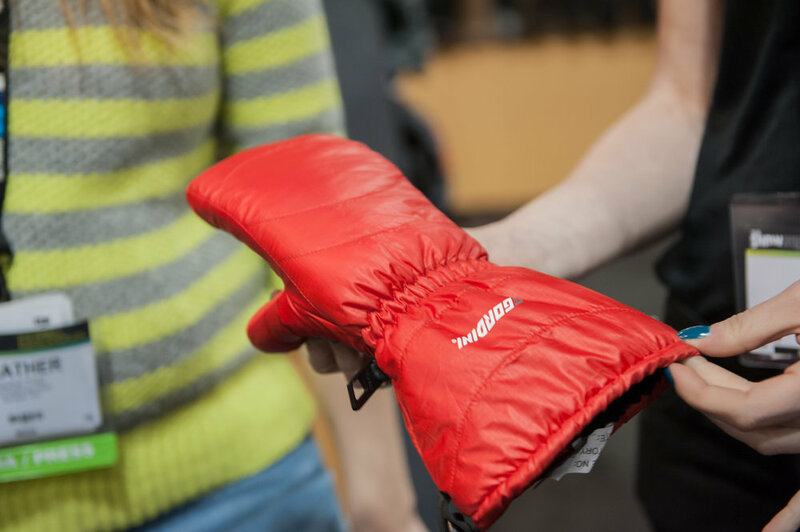 Gordini's new Stash Down Light mitten features more insulation for women's always-cold hands. 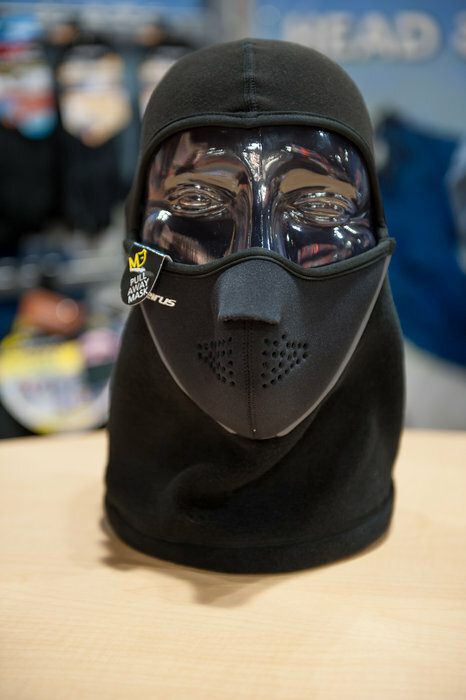 A really interesting partnership between Roxy and Biotherm has birthed fabric that actually moisturizes your skin while skiing/riding.